With the distinct honor of being one of the very first counties in California, Solano County is steeped in history – not to mention natural beauty – offering seniors who live here a wealth of opportunities to learn, explore, and be amazed! Hired Hands Homecare is pleased to provide the professional Solano County home care California seniors deserve, including safe, reliable transportation and accompaniment to whatever destination an older adult’s heart desires. For instance, there are a variety of fascinating museums right within Solano County, where you can always learn something new, such as the Benicia Historical Museum. 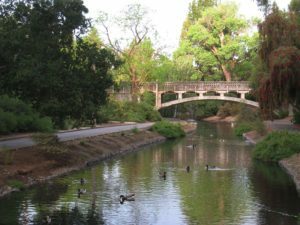 It’s also always fun to view birds and other wildlife at the San Pablo Bay National Wildlife Refuge, or the stunning gardens at the UC Davis Arboretum. Whatever piques a senior’s interest, you can count on Hired Hands Homecare to make it happen! There’s no cookie-cutter approach to care when it comes to Hired Hands Homecare’s individualized Solano County home care. Our caregivers are not only rigorously screened and background checked, but provided with orientation and training and then carefully matched with a senior who shares personality traits and interests – helping seniors and their families to feel safe, secure, and comfortable. The level of care provided depends on each individual senior. Sometimes that means temporary assistance when recovering from surgery, to get settled back in at home from the hospital. Other times, specialized Alzheimer’s care is needed. And many times, the need is somewhere in between. We can help you determine the best course of action to ensure your senior loved one will be cared for at the most appropriate level at all times, where he or she is most comfortable – right at home. If you have any questions at all about our Solano County home care services, we would love to talk with you. You can call us any time at 866-940-4343, or share your thoughts with us through our online contact form and we’ll get right back to you with the answers and assistance you need.